A Junior Deckhand on a luxury yacht is an entry level position that requires little experience. However, some practice with boats or the knowledge of water sports is extremely appreciated.. The Chief Engineer should have excellent engineering skills, technical skills and in-depth knowledge of the engineering systems on board. This employee will have to effectively plan the major repairs and annual inspections of the vessel. The Chief Engineer is also in charge of relations and negotiations with the companies supplying spare parts for the yacht. 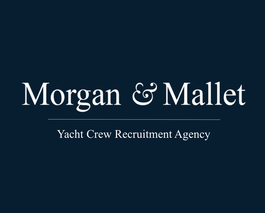 For large yachts, called “superyachts” or “megayachts”, this role requires more than ten years of experience and a license of MCA level Y1 - Y2. The Chief Engineer is also the trainer and the manager of the engineers on board, consequently, he/she should have very good managerial skills.